Rihanna is currently in Barbados and yesterday she took a tour of the Clara Brathwaite Oncology and Nuclear Centre at the Queen Elizabeth Hospital. The center was created and funded by the singer’s Clara Lionel Foundation, which was launched in 2012. Click here to revisit that post. Here’s a look at some of the accessories she wore on her trip. During her tour of the centre she wore a lovely pearl necklace by Jennifer Fisher. This is the new white South Sea pearl cleavage chain from the Spring/Summer 2015 collection. 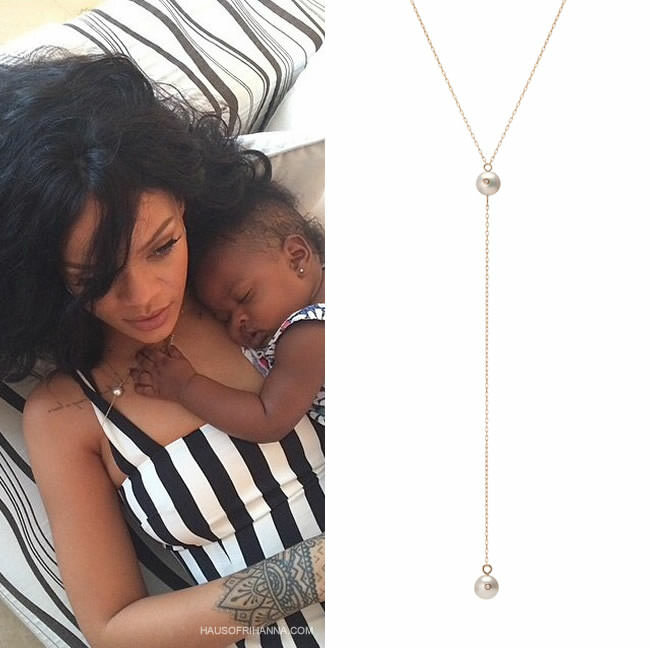 The made-to-order necklace consists of a delicate gold chain adorned with two large white pearls. It’s perfect for a low-cut neckline. In another snap shared on Instagram you can spy Rih in Jennifer’s charm choker and a rose gold flat double chain link ring with pavé diamonds. Her iPhone case is by Dimepiece. 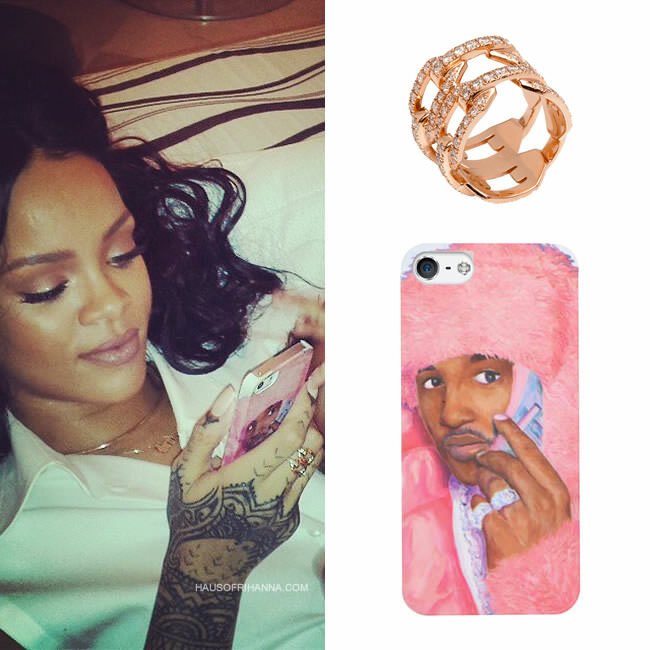 The Real Men Wear Pink iPhone 5 case features a photo of rapper Camron in his iconic pink fur outfit and flip phone. If you don’t know about that, please educate yourself.